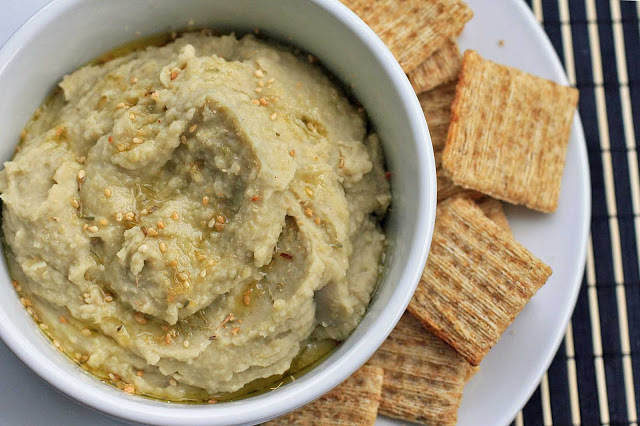 Move over hummus, there’s a new bean dip in town. 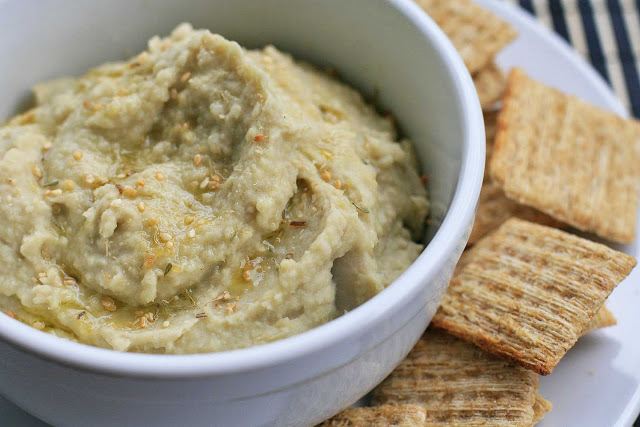 I’ll admit that I was getting a little bit jealous of seeing everybody’s posts with fresh fava beans over the past couple months (I haven’t been able to find them here in Honolulu), and so I did the next best thing- bought some dried favas to make this dip. Just like blanching almonds, taking the skin (or jacket, as some people call them) off of the favas requires some time and a whole lot of patience. That’s pretty much the only reason I don’t use dried favas on a more regular basis. But each time I make something with them the result reminds me that the effort is well worth it. Rinse the fava beans and then place in a large bowl and cover with at least several inches of water. Soak the fava beans overnight. In the morning drain the beans and remove their skins and place in a large saucepan. Cover with water, place on medium-high heat and bring to a boil and cook for 10 minutes. Reduce heat, cover, and simmer for about an hour, or until the beans are tender. Drain. While the drained fava beans are still warm, puree them with the garlic, cumin and olive oil until smooth using an immersion blender or a food processor. Add salt to taste and top with sesame seeds or thyme, if desired, as well as a little drizzle of olive oil. Serve warm or at room temperature. Serve with crackers or vegetable sticks, as desired. When looking through cookbooks I’m often disappointed when I find ridiculously easy recipes. For instance? Something like chocolate milk. Or mashed potatoes. Or scrambled eggs. These recipes usually seem like pointless fillers to me. Unless there’s something revolutionary about the techniques, I’m guessing we’re all OK with continuing to make these things the same way we’ve done all our lives. 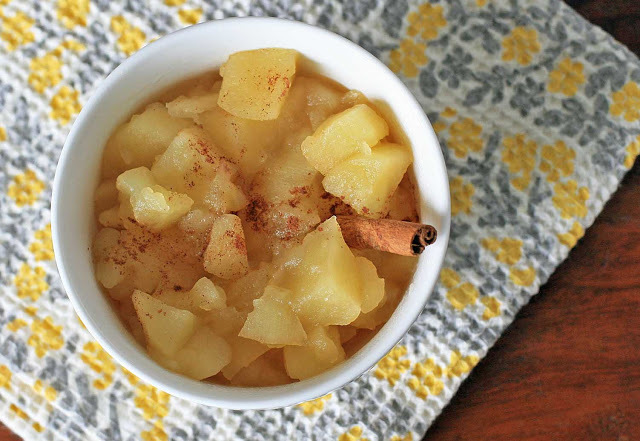 But every once in awhile these simple recipes contain a little gem, idea or added ingredient that would have never occurred to us, like in this Basque applesauce. Would I ever have thought to add sweet sherry to applesauce? No. Was it really good? Yes. Far from venturing into boozy territory, it just gives the applesauce a little something extra. Speaking of booze and apples, reading about the Basque Country and their sidrerias, or cider houses, has got me majorly dreaming of a trip to Europe. All you can drink fresh cider and a sampling of Basque food? Where do I sign up? 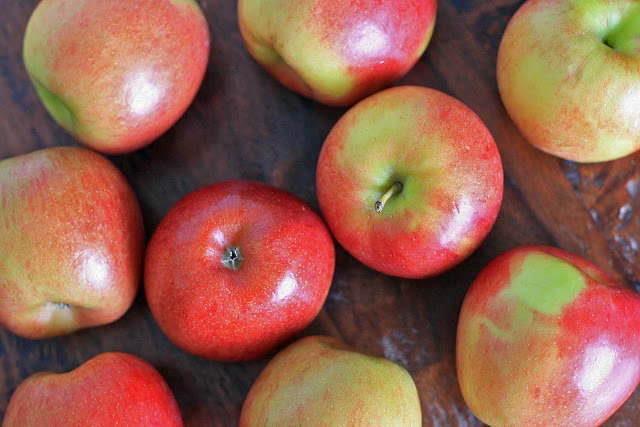 In a large saucepan over medium-high heat, combine the apples, water, sherry, sugar and salt and bring them to a boil. Reduce the heat and simmer, uncovered, until the apples are soft. Add cinnamon to taste, if desired. As I sat down to do this write up and compared my notes to the original recipe, I realized that I unintentionally made several major changes. In a rush to beat sundown, I suppose I wasn’t paying very close attention and my mind read pounds as cups. Oops. I have no idea what this dessert would have been like had I stayed true to the original recipe (except that it would have a whole lot more butter and sugar) but I was pretty pleased with how my version turned out. It’s a three-layered rich and fudgy flourless cake, although the mocha glaze binds the cake together, making the layers almost indistinguishable but allowing the mocha flavor to permeate the entire cake. I made the cake in a 12-inch by 17-inch baking sheet, but if I were to do it again, I’d make it in a 9-inch by 13-inch baking pan instead; I think it’d be nice to have a thicker cake, although I’ll warn you that a little sliver packs a big punch, flavor-wise and probably calorie-wise as well. I wrote the recipe below with the change. Preheat the oven to 325 degrees. Spread the hazelnuts in a single layer on a a baking sheet. Bake until they begin to smell fragrant, and their skins are brown and split, about 7-10 minutes. Remove them from the oven and allow to cool slightly. 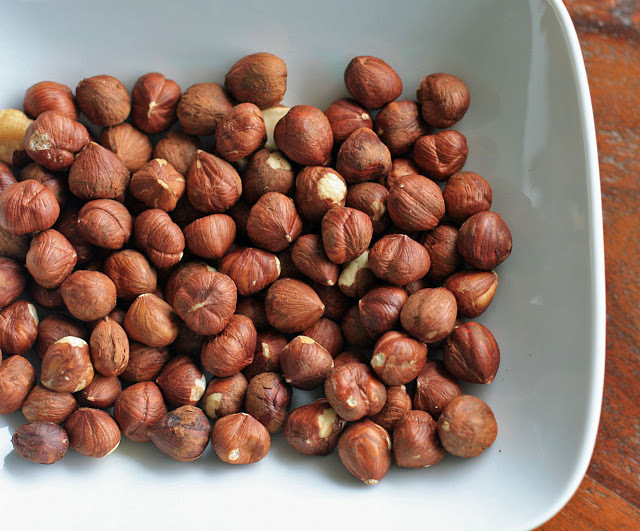 Rub the nuts in a clean kitchen towel; the skins will come off (a small amount of skin remaining on the nuts is normal. I also like to leave a couple with skins on for garnish). Using a blender or food processor grind the nuts into hazelnut flour. Increase oven temperature to 375 degrees. 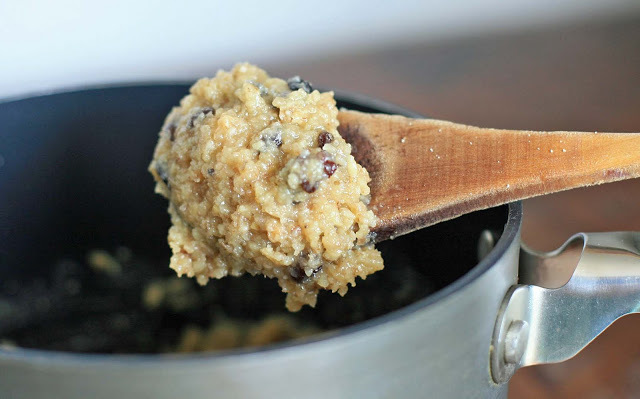 Prepare the cake by softening 1 1/3 cups of chocolate chips in a double boiler and allow to cool slightly. Using an electric mixer, whip the stick of butter with the 1/2 cup of sugar until light and fluffy. Stir in the melted chocolate and hazelnut flour and stir thoroughly to combine. Using clean beaters, whip the egg whites with a punch of salt until very stiff. Add about a quarter of the egg white to the chocolate hazelnut mixture to lighten and mix well. Gently but thoroughly fold in the remaining egg whites. Thoroughly butter a 9-inch by 13-inch baking pan and generously dust with rice flour. Pour in the mixture and bake for approximately 20 minutes, or until a toothpick inserted into the center comes out clean. Let cool. Meanwhile make the mocha glaze by combining 1/2 cup of sugar and coffee in a small saucepan over medium heat. Cook for 3-4 minutes, until syrupy. Let cool slightly. Mix in 2/3 cup of chocolate chips and and 6 Tablespoons of butter and stir until the chocolate is melted and the mixture is smooth. While stirring, add the egg yolks in one at a time. Keep stirring until the filling thickens. Let cool. Cut the cake into 3 pieces of equal size (9-inch by 4 1/3-inch). Place bottom layer on a piece of wax paper and slather with some mocha glaze. Place another piece of the torte on top and place more glaze on top. Top with the final piece of torte and spread the remaining glaze over the top and sides of the torte. Sprinkle with chopped hazelnuts. With all the Asian and Pacific coconut desserts out there (mochi, bibingka, haupia, etc., etc. ), it’s always surprising when a recipe using a similar list of ingredients to many other desserts results in something that seems entirely different and unique. 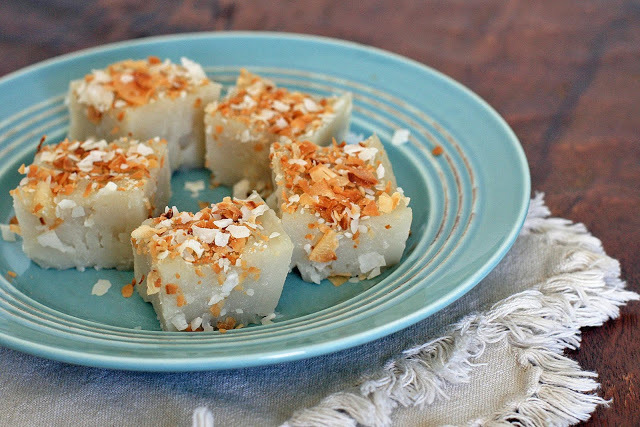 Such was the case for these coconut squares; they were thick, coconutty and creamy with a unique jellied texture. For those of you who are familiar with Asian/Pacific desserts, they had a similar mouthfeel to Chinese Steamed Rice Cakes (Pak Tong Koh?) but with a coconut flavor similar to Hawaiian Haupia. The original recipe called for the cashews to be mixed into the coconut squares but I found that they were distracting to the otherwise creamy and smooth texture. I would have preferred them sprinkled on top with the coconut, and so I changed the recipe below to reflect that. Butter or grease a 9-inch square baking pan and set aside. Combine the coconut milk, maple syrup, jaggery and salt in a medium bowl and stir to combine. Put the rice flour in a heavy-bottomed medium saucepan and gradually whisk in the coconut milk mixture. Bring to a boil over medium heat, stirring continuously. Cook until the mixture pulls away from the sides of the pan. Pour into the prepared pan and flatten. Sprinkle with the chopped cashews and toasted coconut, if desired. Let cool to room temperature, cover with wax paper and refrigerate until cool. When cold, cut into desired size. One of the things that makes many Sri Lankan curries unique is the fact that they roast their spices until they reach a dark hue. 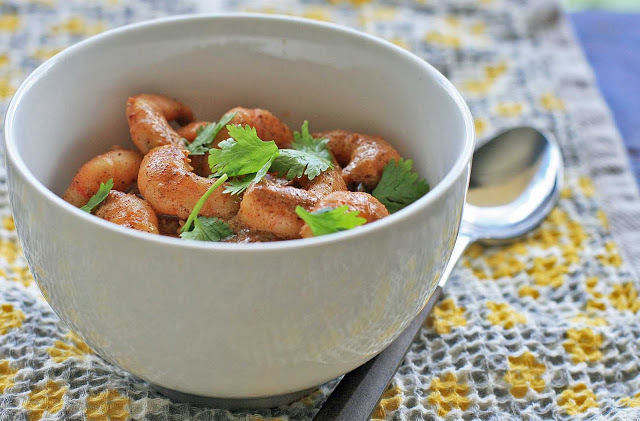 This seems to intensify the flavors and give it a rich, almost smoky flavor. They call the curries made with these darkened spices black curries. The original recipe used toasted whole spices before grinding them, but I’m guessing that more of you are likely to have these spices in ground form, and so I adapted it as best I could; I think it worked out quite well. You’ll notice that there aren’t any vegetables in this recipe to help add volume or bulk, so be sure to have at least one or two vegetables on the side as well as plenty of rice. Heat the oil in a large saucepan or large, wide frypan with a cover, over medium-high heat. 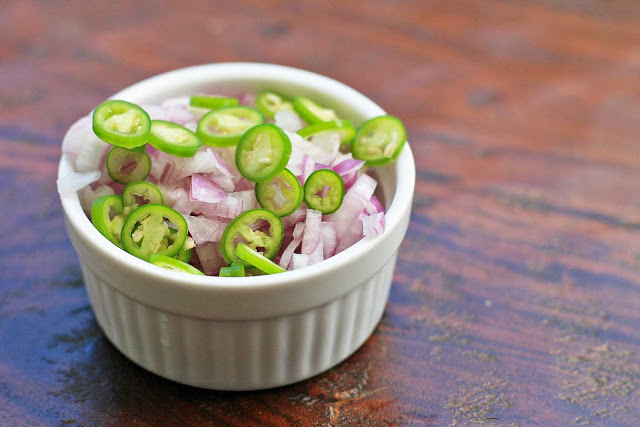 Add the shallots and Serrano pepper and cook for one minute. Add the coriander, cumin, fenugreek, cinnamon, cayenne, clove, and cardamom and stir to mix well. Cook, stirring constantly, until the mixture turns a couple shades darker and becomes very fragrant. Add the garlic and ginger, mix, and cook one more minute. Add the lemongrass, salt, paprika, and water, stir, and bring to a simmer. Reduce the heat to low and simmer, covered, for 15 minutes. Add the shrimp and coconut milk and simmer, uncovered, on low heat until the sauce is hot and the shrimp are cooked through. Top with cilantro leaves, if desired. Serves four, with rice and at least one side. I’m just going to say it straight up: this is definitely my favorite Sri Lankan recipe so far and quite possibly my favorite recipe this month. 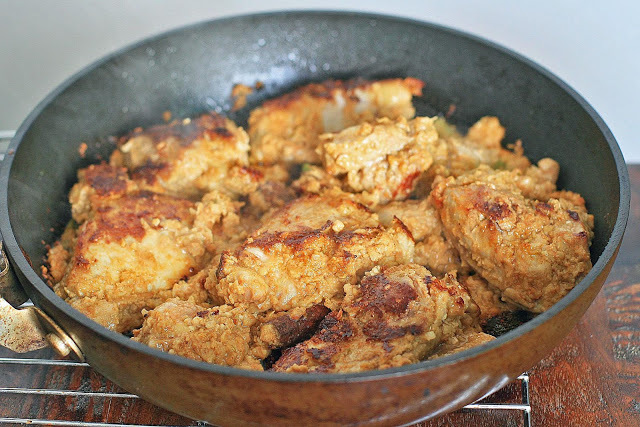 Chicken gets marinated in a spicy coconut cashew paste, browned on the stove, and then gets finished off by a simmer in a coconut milk. It’s really the perfect dish to serve at a dinner party: exotic enough to impress your foodie friends, but familiar enough to appeal to non-adventurous eaters and kids. It’s also a perfect match for that Sri Lankan rice that I posted a couple days ago. 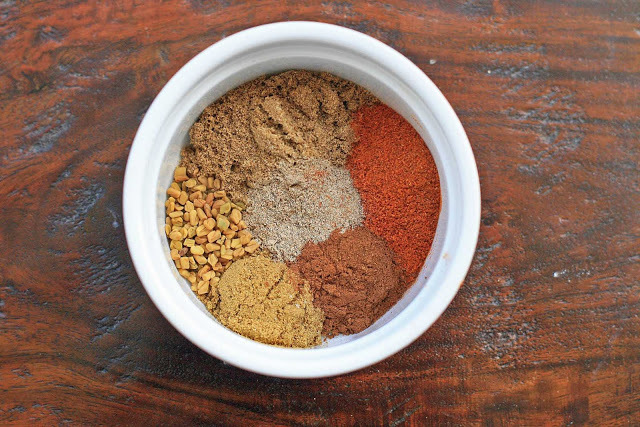 To prepare the marinade, grind the cashews, coconut, onion, tomatoes and water in a blender or food processor until it becomes a thick, gritty paste. Remove to a large bowl and add the cayenne, fennel, cumin, fenugreek, Serrano pepper, cinnamon stick and fresh ginger and stir to combine. Add the chicken and coat each piece well. Place in the refrigerator and let marinate for an hour. Heat the oil in a large sauté pan over medium heat. Add the chicken and brown each side, about 5-6 minutes each side. Add the coconut milk and bring to a boil. Reduce heat and simmer, uncovered, until the sauce has mostly evaporated, about 15 minutes. Add salt and pepper to taste. 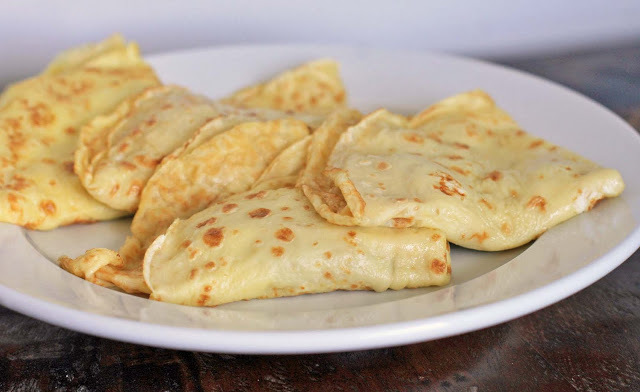 Thin Hungarian pancakes, stuffed with a sweet walnut filling and drizzled with a sweet chocolate rum sauce make an elegant dessert or a decadent breakfast or brunch. I’m very much in the dessert-for-breakfast camp (my favorite dessert-for-breakfast used to be my mom’s apple pie) so I had no problem, or feelings of guilt, devouring this well before noon. Hungarians are big fans of walnuts, but I imagine that a lot of other nuts would also work well. 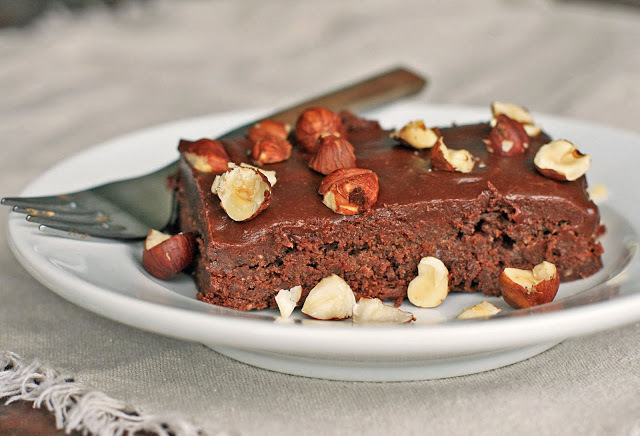 So feel free to experiment with almonds, hazelnuts, chestnuts, or a mixture of several kinds. Adding fruit would also be a nice touch. Prepare the walnut filling by combining the cream and sugar in a small saucepan over medium-low heat. Stir until the sugar has dissolved. Add the rum, ground walnuts and raisins and stir until combined. Remove from heat. Place a heaping teaspoon of the walnut filling in the center of each pancake. Fold the pancake into four. Saute the folded pancakes in a small pat of butter for 2-3 minutes on each side. Make the sauce by combining the chocolate chips and milk in a small saucepan over low heat. Stir until the chocolate has melted and the sauce is smooth. Remove from heat and stir in the egg yolks, whisking constantly. Mix in the sugar, cocoa, butter and rum and stir until smooth. 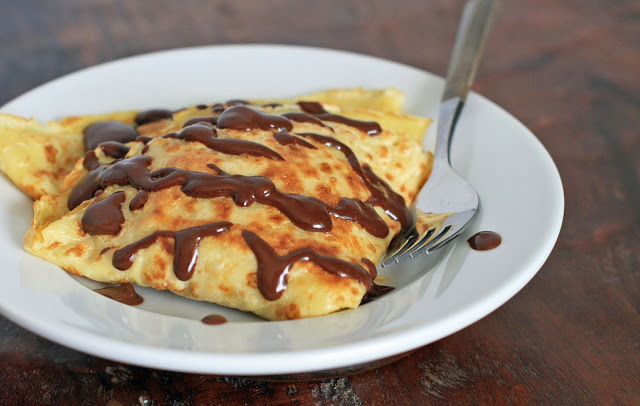 Place two pancakes on each plate and drizzle with the chocolate rum sauce. I’ve come to realize that drink recipes are some of the most popular posts here on Girl Cooks World. I guess it’s probably because they’re an easy way to try something new and exotic without a whole lot of time, effort or money. So in the spirit of giving the people what they want, here’s a quick drink recipe. Orange juice is complemented by a light cardamom and clove syrup and finished with a sprinkling of basil seeds as a garnish. This was my first time using basil seeds but they acted quite similar to chia seeds; within a couple minutes of soaking they become rather gelatinous, just like the chia seeds in chia fresca. Combine the sugar and water in a pot and bring to a boil with the cardamom and cloves. Simmer until reduced by a third. Remove from heat and allow to come to room temperature. Discard the cloves and cardamom pods and add the orange juice. Refrigerate until well chilled. Float some basil seeds as a garnish. Hot, sour, salty and sweet, this eggplant dish has got it going on. I know in my head that this is a Moroccan dish, but I keep thinking of American Chinese food, a la P.F. Chang’s. And I mean that as a compliment. 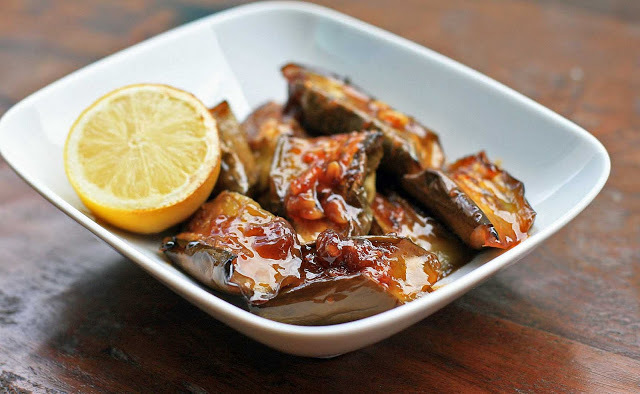 The eggplant are broiled and then cooked in a spiced harissa-honey mixture until the sauce is thick, sticky and coats every piece of eggplant. This time I stuck with just eggplant but it would make an amazing meal with some chicken thrown in. If you’re looking to go that route, I would stir-fry about a pound or so of chicken with the garlic until just cooked through before adding the eggplant and triple the amount of the honey-harissa sauce. 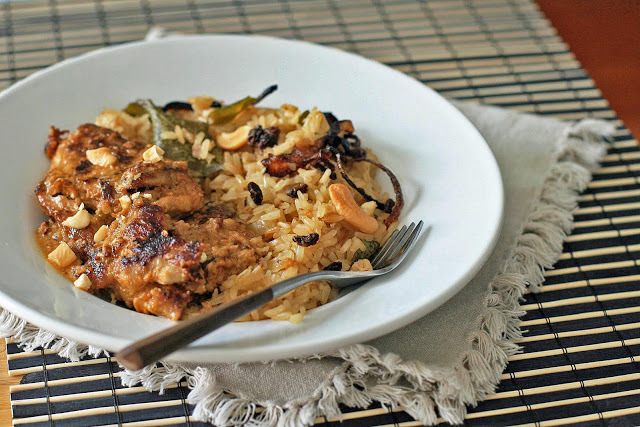 Served with some rice, it could be a quick, exotic weeknight meal. Preheat your oven to broil. Lightly grease a 9-inch by 9-inch baking dish and place the eggplant in a single layer. Broil several minutes, until lightly browned and flip the eggplants to brown on the other side. Remove from oven. Heat the oil in a large frying pan over medium heat and add the garlic. Fry for about a minute and then add the ginger, cumin, harissa, honey and lemon juice. Arrange the eggplant in a single layer and cook about five minutes. Flip the eggplant and cook until the sauce is thick and syrupy and has mostly been absorbed by the eggplant. I never ate mushy Brussels sprouts growing up. 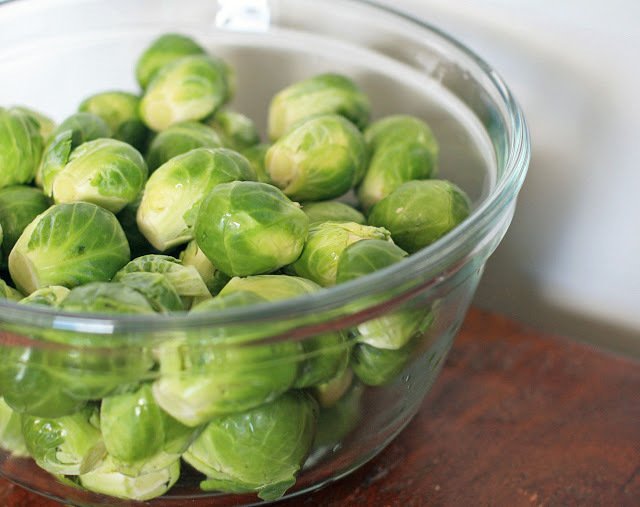 In fact, I never ate any Brussels Sprouts at all, so I never quite understood the constant verbal attacks on the poor vegetable. It was only in my adult years that I gave them a try. By that time, I’d already been heavily influenced by the Barefoot Contessa, i.e, roasting was my go-to vegetable preparation technique. Steaming, boiling, and plain old baking seemed too boring and too flavorless. And when I finally tried roasted Brussels Sprouts, drizzled with olive oil and Parmesan cheese, it was clear that Brussels Sprouts were undeserving of their bad reputation. But as good as they are, a girl cannot live on roasted Brussels Sprouts alone. 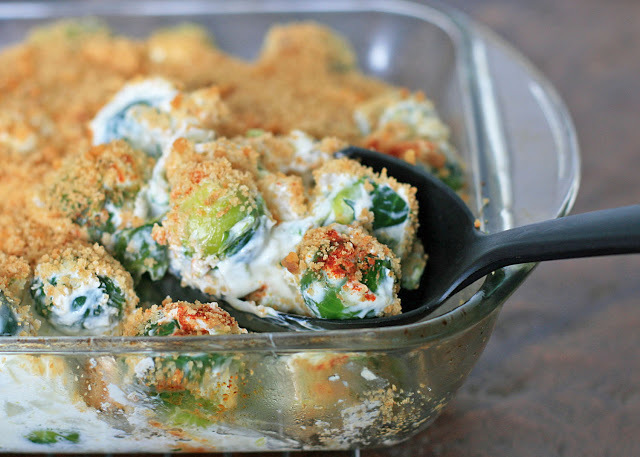 In this Hungarian dish, Brussels sprouts are parboiled and then combined with a pork-flavored sour cream sauce, topped with breadcrumbs and baked until golden and bubbling. With a preparation like this, I wouldn’t be surprised if all Hungarian children loved their Brussels Sprouts. Wash and trim the ends of the Brussels sprouts. Bring the water and 2 Tablespoons of salt to a boil in a large pot. Add the Brussels Sprouts and let them boil, uncovered, for 10 minutes. Drain and rinse in cold water. Fry the salt pork in a large saucepan over medium-high heat until the bits have browned and become crispy. Remove the salt pork bits with a slotted spoon and reserve. Add the onion to the rendered pork fat and cook over medium heat until the onion has softened. Add 1/4 cup of water, one teaspoon of salt, pepper, and stir to combine. Remove from heat and let cool slightly. Stir in the sour cream and mix thoroughly. Add the Brussels sprouts and stir well to combine and coat each sprout with the sour cream mixture. Pour into prepared baking dish and sprinkle with paprika and the reserved salt pork bits. Top evenly with breadcrumbs and bake for 20 minutes, or until the top is golden and the sauce is bubbling.